Thank you, Lisa, for saving me. I had been in a reading rut and you just rescued me. Rose McKenna went from stay-at-home Mom, to volunteer Mom, and then Hero Mom. But very quickly, she also found herself in the middle of a controversy - and it was her family versus the whole town. 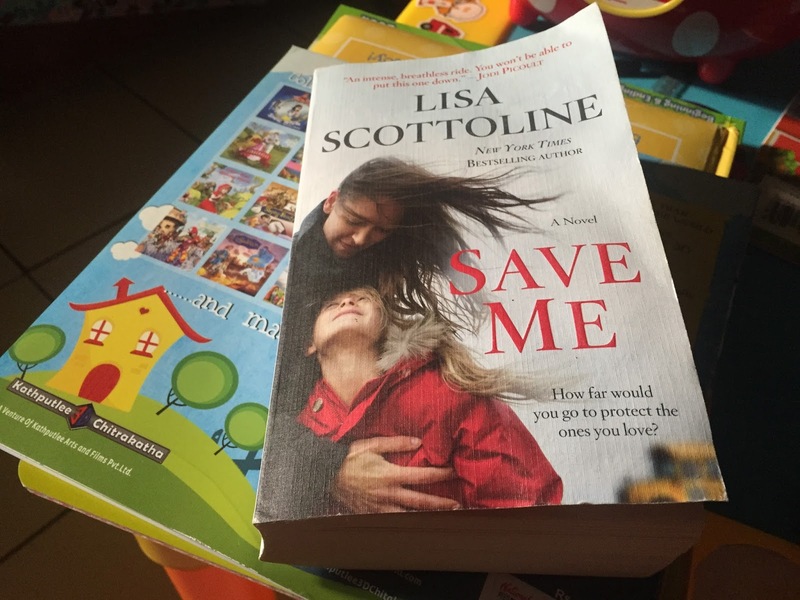 This latest novel from Lisa Scottoline isn't the gripping legal thriller like all her other novels that we've read so far. It took awhile for the story to warm up to me, but it eventually did. It wasn't as page-a-turner as Daddy's Girl was, but it doesn't mean that it's not worth your time. Central to the story was social media and how quick we are to judge someone without listening to their side of the story. A few months back, I had it in my head to write a post with this title: I am scared of Social Media. I couldn't articulate it well so I didn't get around to writing that article, but I thought of it after we figured in a car accident. While I was sitting in the driver's seat, collecting my wits, I was also thinking about what the people passing by must think about me. After all, my car was upright and we were not injured. While the delivery van that slammed into me was on its side, with the driver bleeding with wounds on his arm. To an outsider, it would have been so easy to judge that it was my fault and that we caused the accident. But it really wasn't. And there was my hubby and his ill-temper raising his voice at the other driver and his companions. Remember Amalayer? I didn't watch her video and only learned the full story when they featured her on MMK. That's how harsh social media could be. Another thread that got me hooked on this novel was how Rose's predicament was related to the problem of peanut allergies. No, her daughter wasn't allergic to peanuts. Have you heard of anyone in the Philippines being allergic to peanuts? I don't know anyone who is. And I'm pretty sure we don't have training that tells teachers to have kids with such allergies eat away from the general population. It sounds like a really challenging situation to have to deal with. Like we saw in the movie Horrible Bosses, simply touching an empty zipLock container of Peanut Butter Sandwich may cause a lethal allergy attack. I've seen those on chocolate labels and labels of other food products, something that goes along these lines: "produced on equipment used to manufacture nut products." I never used to pay attention to them, but reading Save Me, I realize that those labels are life savers. And if companies fail to disclose that information, they could cause many deaths.